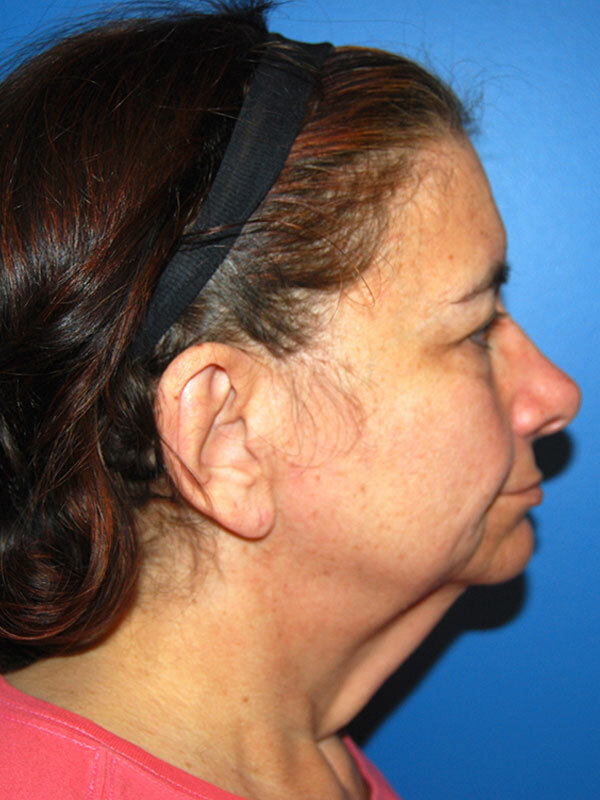 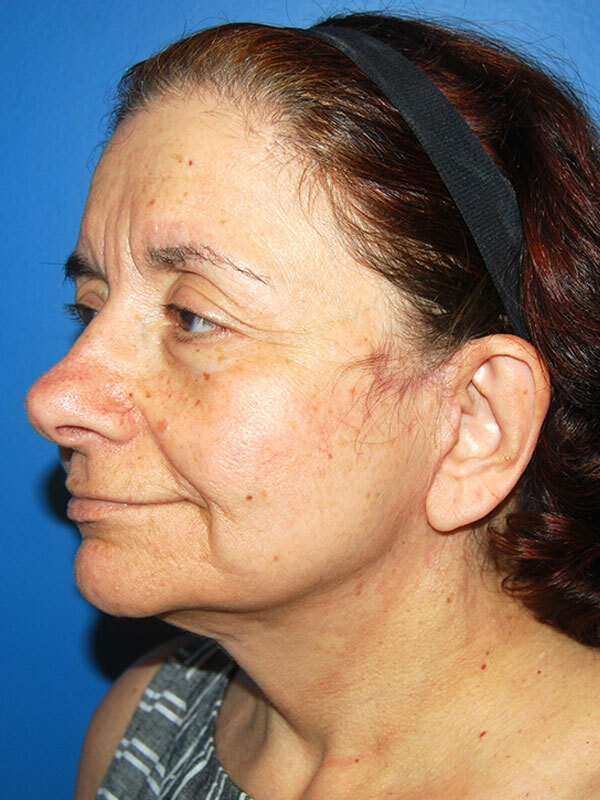 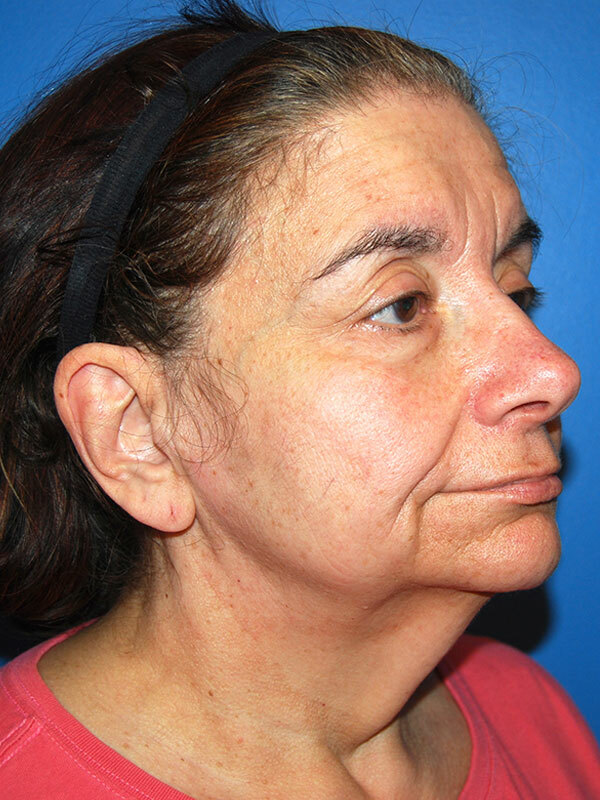 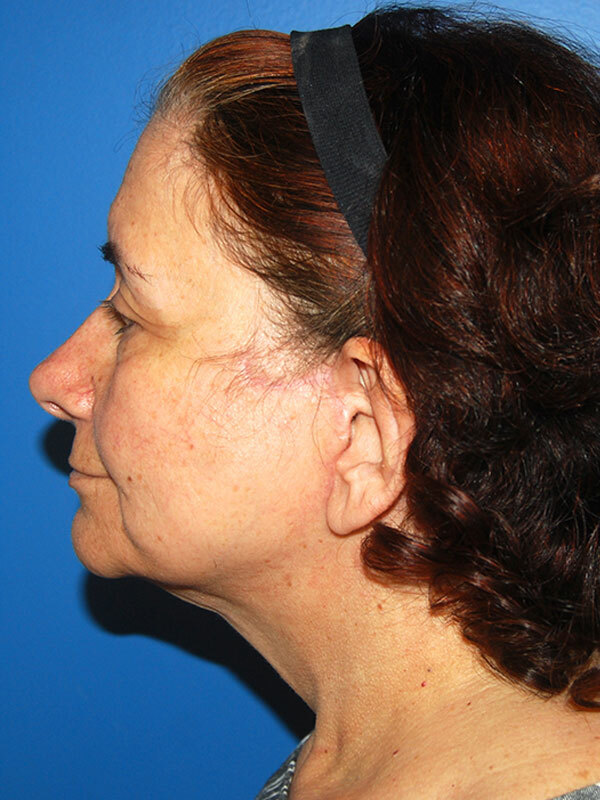 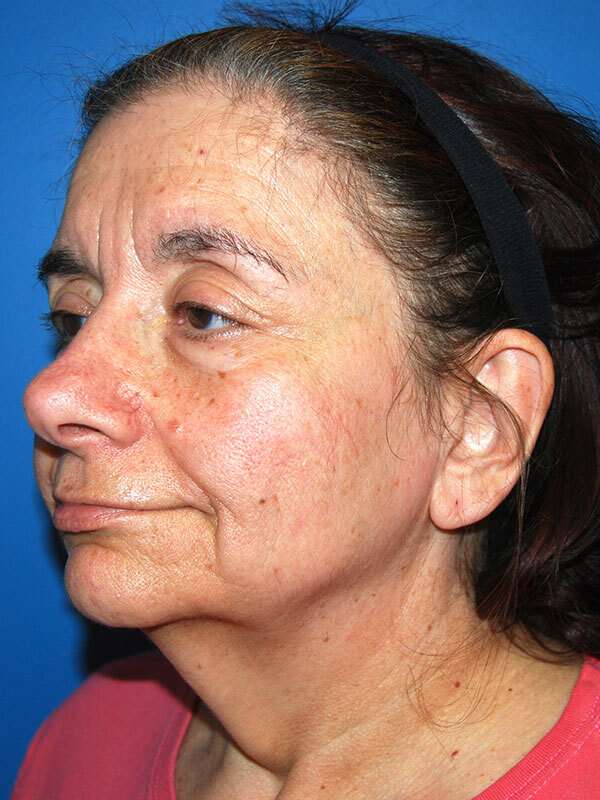 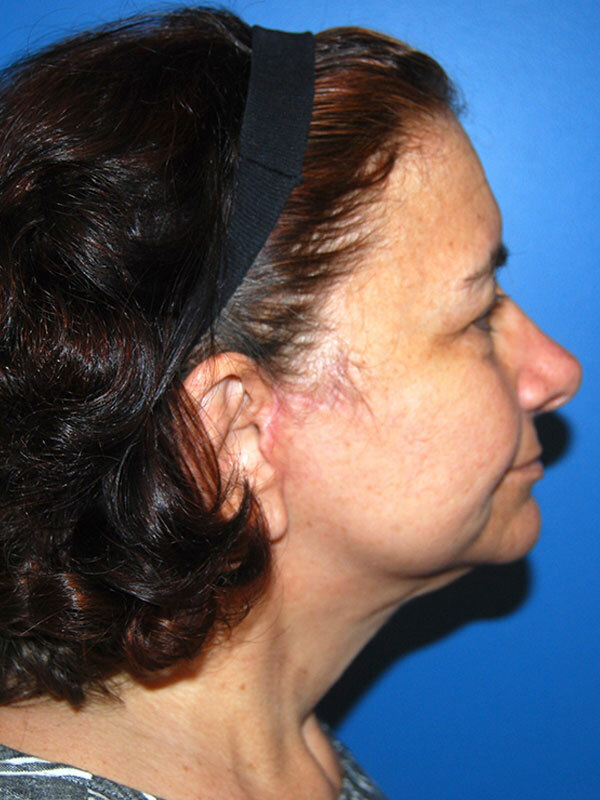 Patient is a 63 year old woman who developed significant laxity of her neck and face, following a 100lb weight loss after weight loss surgery. 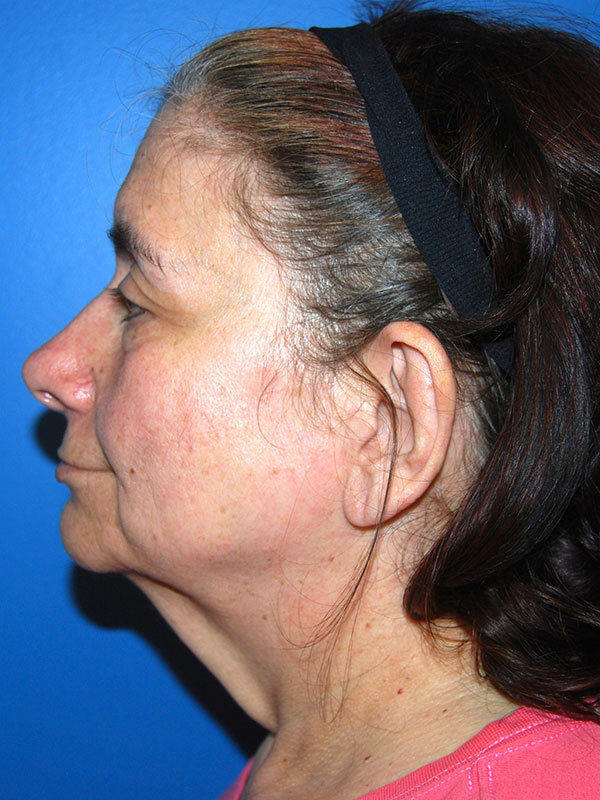 She underwent a full facelift and a neck lift with a corset platysmaplasty. 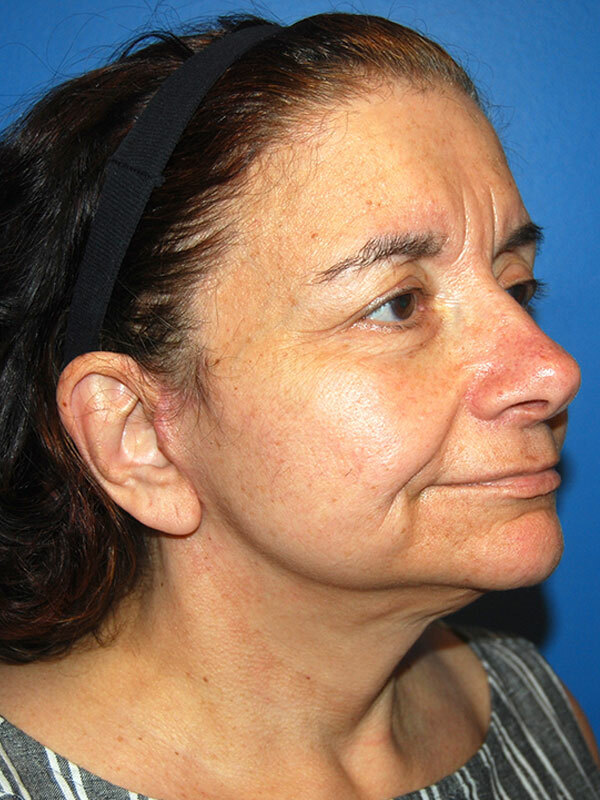 She is seen 5 months after surgery, with improved face and neck contours.